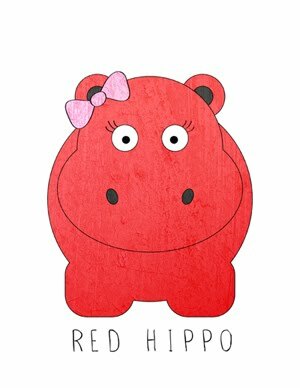 Red Hippo: a baby is coming. soon. I am 33 weeks pregnant. I am 33 weeks pregnant. I am 33 weeks pregnant... I just can't believe that an actual human baby will be arriving in the next seven or so weeks. Life is about to get pretty interesting. This pregnancy has been very smooth. I was pretty sick in the first trimester and the first half of the second, but once the nausea disappeared it has been smooth sailing. I have been pretty negative about the amount of weight gain thus far (38 pounds to be exact) but I'm trying very hard to count my blessings instead of the numbers on the scale. I think this baby is going to be much bigger than tiny little Easton. Easton was 5 lb. 11oz. when we brought him home from the hospital (just a lil jelly bean). I'm thinking this baby boy will be a 7+ pounder. I hope he's bald, chubby, and looks just like Tony. On another note, we've decided to tell everyone (family included) about the birth of the baby after the fact. We are hoping to enjoy some quality time with baby Frascone and Easton before he meets everyone else. It's those first moments that are so valuable and we want to cherish them, just the four of us. Also, I don't want everyone knowing when I've gone into labor. It made me so uncomfortable last time- it's just so personal and private to me... so this time I just want it to be a stealth mission. Stealth. Like a navy seal. A few things I have to do to prepare for the baby? Organize his clothes, get a bassinet, put together a hospital bag, and buy some bedding. Other than that...I think we're set! Below- Easton feeling his baby brother kick. Very sweet.